Joe Cortez, Founder and CEO of Next Level Entertainment was born and raised on the island of Maui, Hi and started his successful DJ career at the age of 15. He is an award-winning, accomplished and reputable disc jockey. 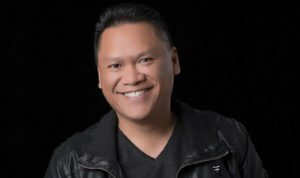 In 1992, Joe became the first Maui DJ to win an Oahu DJ Battle Competition and later became the first Maui DJ to earn a mixshow DJ spot on Oahu’s KIKI I-94 radio station. He also started Maui’s first radio mixshow on Q-103, helping to produce Maui’s 1st Live Radio Broadcast at the nightclub and recently winning the 1ST Annual LAS VEGAS DJ SHOW competition in 2014. His knowledge of music plus his creative mixing style and high-energy mixes has help to rank him as one of Maui’s most requested DJs for nightclubs and private events. From Old School classics to the latest top 40 hits and all the genres in-between, Joe Cortez can surely rock any spot and any age group. Even with such accomplishments, Joe’s thirst for continuous improvement and gathering more DJ knowledge drives him to work harder and take greater creative risks each day, including the pursuit of true entrepreneurship. He launched his business, Next Level Entertainment, with a group of talented DJs and MCs who specialize in teen events and weddings throughout all of Maui. Joe’s dedication to learning and growing as a professional can be validated by the lengthy list of performance workshops he has completed. Besides being a highly acclaimed DJ, he is also a trained, professional Master of Ceremonies (MC). Whether at a nightclub or at a private event, his passion for his craft and commitment to his clients are second to none. Joe will take you on a musical journey or make you feel at ease when working together on your event. He has been described as imaginative, inventive, versatile, dependable, energetic and driven. Joe is a well-respected DJ among his peers and a respected member in his community. You can hear his mixing style every Friday on the 6’O Clock Traffic Jam on 98.3 DA JAM. Check him out live in the video mix at Maui Beach Hotel for their monthly 80’s Night gathering. Let Joe Cortez (DJC) elevate your event to the Next Level and contact Next Level Entertainment to book him for your next event! Click on icons below to stay connected with Joe Cortez on social media.